Site Description: This is a rustic, remote, heavily treed campsite with a small natural hot spring beside Sloquet Creek. 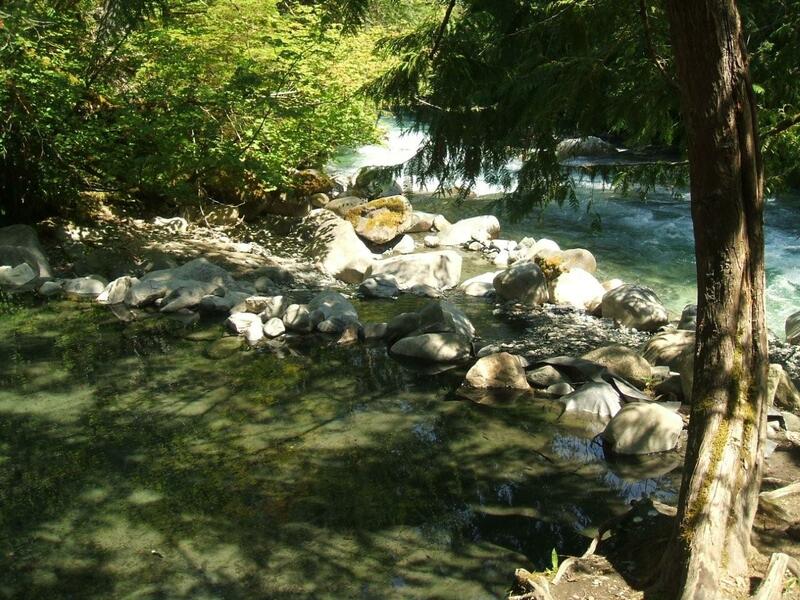 The area is the traditional territory of Xa'xtsa or Douglas First Nation. The hot springs have been used since before settlement. 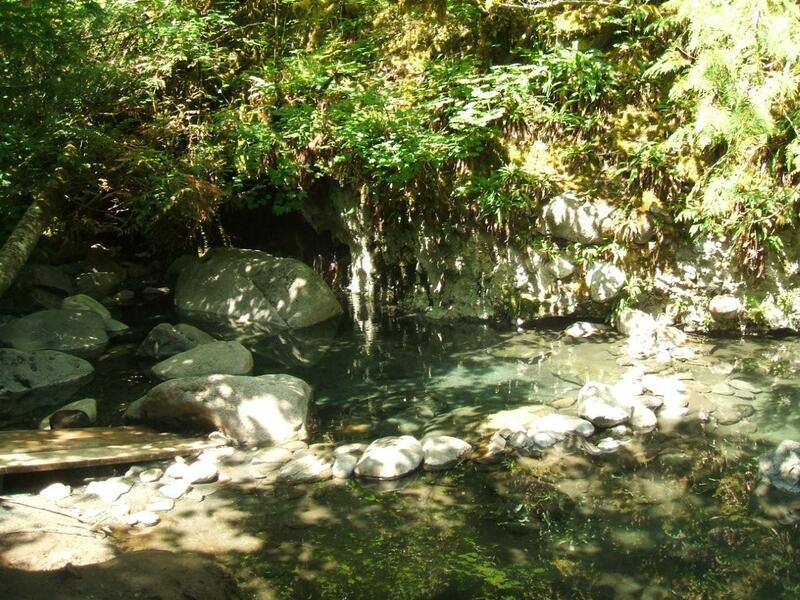 The Xa'xtsa people still use the hot springs for traditional ceremonies. Camping is $15 a night per site, this includes hot spring use. Every overnight vehicle must have a camping permit. The fee applies to groups of 6 people. If there are more than 6 people in one vehicle, a second permit is required for the extra people. The campsite attendant may have firewood for sale. 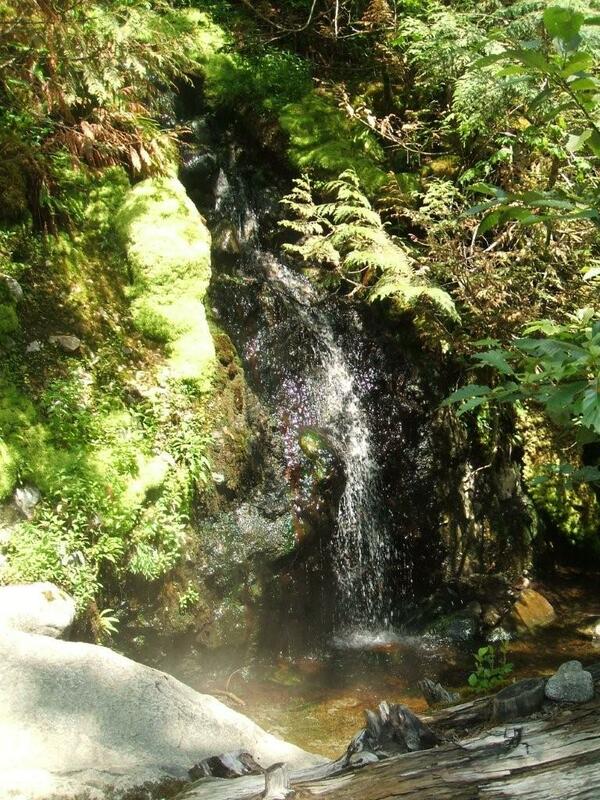 The trail is steep and rocky going down to the hot springs, use caution. Use of the hot springs is at your own risk. No pets of any kind are allowed at or near the hot Springs to keep water clean and sanitary. This site has pit toilets/outhouses, tables and fire rings on every campsite. This site is very popular on long weekends, so be prepared to get cozy with your neighbours. The area is busy with industrial traffic, drive with caution and headlights on at all times. All plastics, tarps and other deleterious materials that various members of the public placed in the pools to make them deeper have been removed as they are a fatal hazard to all aquatic life. Please help us keep all unnatural materials out of the water, including landscape fabric and candles. Your help in keeping the area clean ensures the area stays open for everyone to enjoy. The Xa'xtsa village of Tipella is 2km South of the turn off to the hot springs. There is a gas station and small store there with limited supplies. Driving Directions: Travel to approx. 76.5 km on the In-shuck-ch Forest Service Road (also known as Lillooet lake road), which runs along the lower Lillooet river, just North of Harrison Lake.